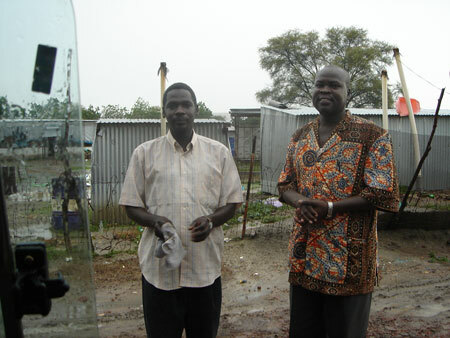 A portrait of two men in Malakal, a friend called Lumumba (right) and the driver (left). In the background is the children's hospital. Morton, Chris. "Malakal wet season" Southern Sudan Project (in development). 03 Jan. 2006. Pitt Rivers Museum. <http://southernsudan.prm.ox.ac.uk/details/2007.137.77/>.